Kaitlin and Jacob’s Wedding couldn’t have turned out more perfect. Despite the weather (cold and rainy) these two had a fantastic day. They started out by getting ready at the hotel, exchanged gifts and love notes, then it was off to the Country Club for the Ceremony and Reception. The venue was gorgeous! These two are loved by many, there was not an empty seat in the place! Devon and Stephanie had the most adorable intimate wedding! They celebrated at the Frazier History Museum by having close friends and family witness their vows followed by cake, speeches, and of course, dancing! There’s no questioning the love these two have for one another, you could see it in their eyes and in the way they held one another. One of the many reason's I love wedding photography is the ability to get to work with other photographers. My friend, Kristina Sellers, allowed me to help capture Stevie and Cody's beautiful wedding. Here are a few of my favorite shots from the night. Check out Kristina's website here. I meant to get this posted by yesterday but oh well! Less than 30 days until these two tie-the-knot! I can't wait to be a part of your big day. If their wedding is as fun as their engagement session then we are in for a blast! These two are kind, funny, and very caring! When you're in their friend circle they treat you like family! Shaun and Kasie's wedding was a blast! Despite a power outage and a Tornado warning we all made it through and they had the perfect candle-lit ceremony. Summer is here and that means Red, White, and Blue everything and all the fruit you can handle. Check out Asas first tastes of watermelon. How cute are his bloomers?! Cody & Rebecka's Rustic Loft Wedding at Wilstem Ranch, Paoli Indiana. Where do I even begin with their wedding? Flowers, beautiful! Dress, Gorgeous! Venue, AMAZING! Couple, the cutest!! It was perfect. The neutral blush tones and the rustic feel of the loft were just perfection. We braved the cold weather to get some outdoor shots by the covered bridge and then danced the night away. The way Harley and Drew look at one another is why I love shooting weddings. You can tell they truly love one another. Their barn wedding was beautiful. The purple and grey decor fit perfectly with their personalities. ake and Caitlin's sweet summer wedding was so much fun. The love they share for one another is undeniable. Everything about this wedding had the couple's personal touch. They crafted and constructed down to the last detail to make things perfect. Chris and Cierra's wedding at The Old Barn at Brown County was a dream. This venue was perfect for their modern-yet-rustic style. The weather could not have been more perfect for them to celebrate the love they share with their closest friends and family. The fun atmosphere invited guest to dance, laugh, and simply enjoy themselves. 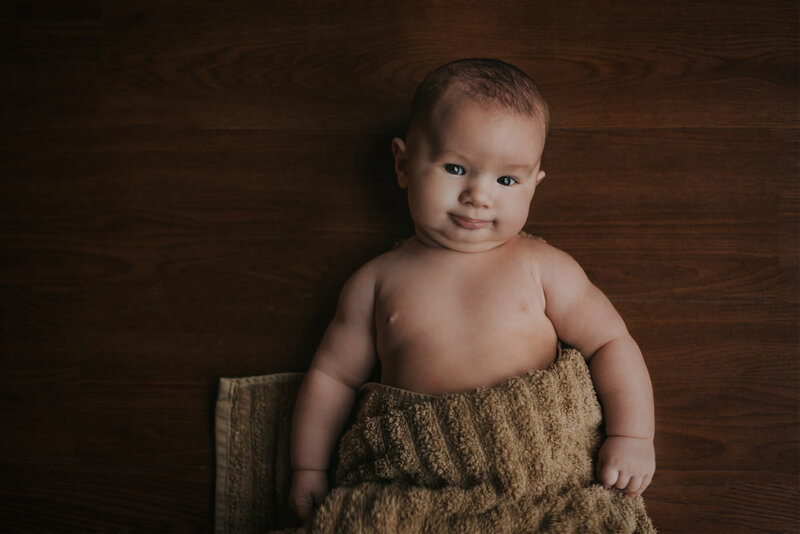 Ryker is 4 months old! He now weighs 18lbs 1oz. He is 24.5" long. We had our first trip to the playground this month & he has just learned to blow raspberries and loves attention from anyone and is such a smiley baby. 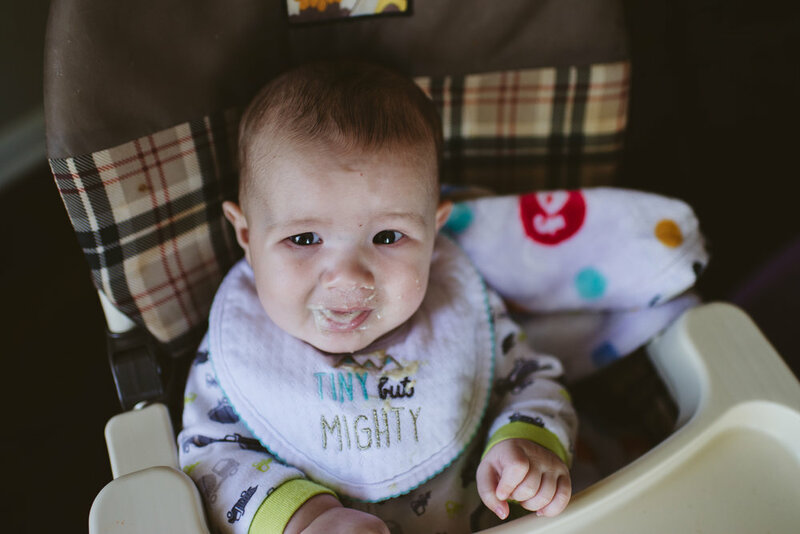 This weekend he got to try bites of smashed up Girl Scout cookie (don't tell the pediatrician :D ) and a few bites of applesauce and I can tell he's going to love food. Starry Nights. A trial and error production. I am a member of the Pretty Presets Forum- Pretty Forum. If you don't know what pretty presets are and you're a photographer I highly recommend checking them out here. ANYWAY- I was browsing their tips and tricks section on the forum this week and came across a "Star Trail" tutorial and decided to give it a shot. I've always been fascinated by slow shutter speed photography. Streams, stars, moving cars, etc. However, I did not know how much prep work goes into shots like those. Here's my first attempt. This is 21 images grouped together. I like it but I was hoping for a more continuous trail. Nikon D800, Sigma 24-70mm, Tripod, Zoom ring @ infinity. I set my interval timer to take one photo every 10 minutes for 3 hours. My settings were- ISO: 800, F2.8, SS:30 seconds. I ran a script in Photoshop (I googled star trail composite software) and darkened the blacks and shadows, increased the vibrancy, and lowered the temperature. There were some shots where airplanes crossed my frame and it looks pretty neat but still a bit "dotty" if you will. Below is attempt #2. This one turned out a little nicer I lowered my ISO to 500 and had my interval take a 30 second photo every 5 minutes. Also pointed my camera at a different angle where the city lights weren't behind the trees. As many of you may know and maybe you don't know.... I am 36 weeks pregnant. According to the apps our baby is the size of a Papaya, Chihuahua, Crenshaw Melon, 2-Liter of Mountain Dew (yes they really compare babies to 2-Liters). He weighs about 6lbs (yes, it's a boy!). I'm blaming him for all this random inspiration to do things I've been having lately. Some people call it nesting. I'm just going to take it for what it's worth and hope it sticks. It's getting to the point in my pregnancy where I have to start thinking about labor.... HOLY COW. I have to birth this thing that has been growing inside me for 8+ months now. Are we ready? I'd like to think so. 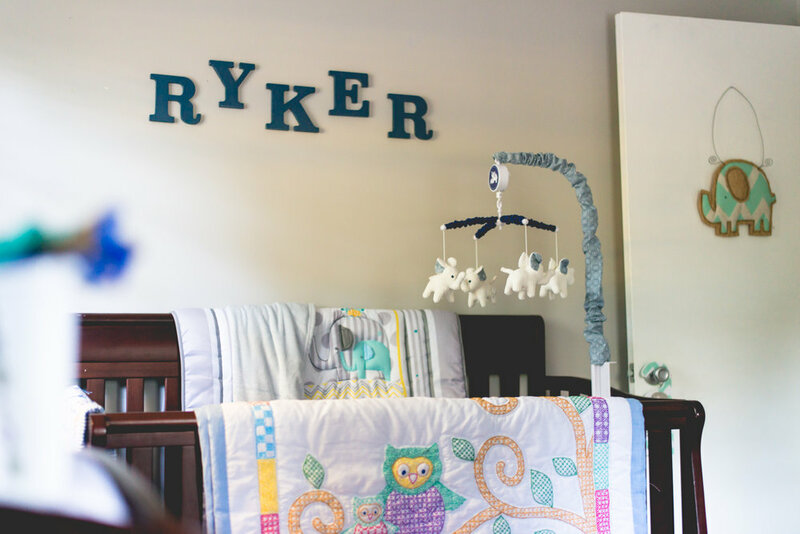 We've got his nursery set up, diapers and wipes to last a few months, more clothes than he'll ever be able to wear AND we even have a full name picked out. Some days I am 100% ready for him to be here. I couldn't want to hold him in my arms more. Other days I am petrified of this new experience. 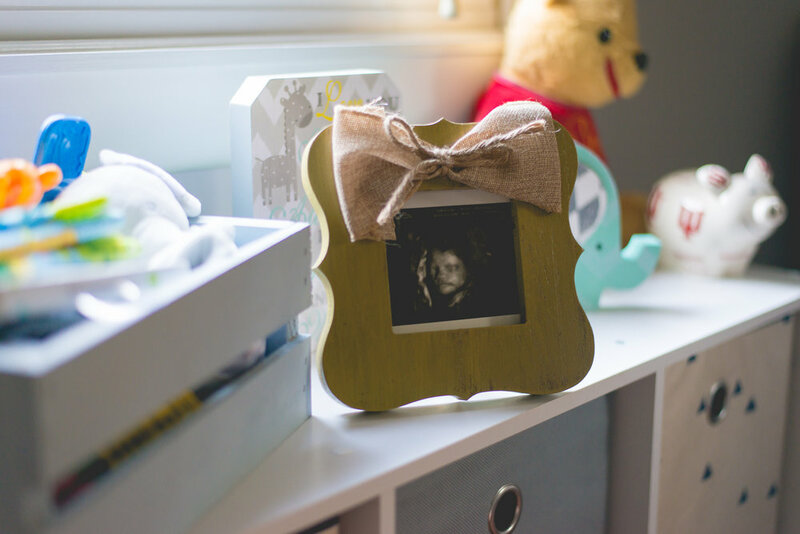 This is our first baby and we are doing our best to be prepared but are you ever REALLY prepared to bring a new life into this world?! What if he's ugly? (Yeah, don't act like you weren't scared your children would come out a little funny looking) What if he's nothing like me? What if he's EXACTLY like me? Or worse, what if he's exactly like his father! ;) I'm just kidding, his fathers pretty great. After all, I decided to have children with him. In the meanwhile. I will impatiently wait for his arrival (only to later miss being pregnant, i'm sure.) and let my insecurities rest while Seth and I enjoy our last four weeks as a family of two.